Villa Premiere Hotel & Spa makes it easy to tie the knot with their two new, Unforgettable and Unique Wedding Packages. service for the ultimate in pampering and rejuvenating Oxygen Bar. 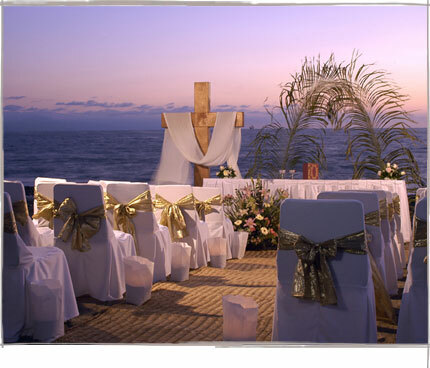 priced at $200 USD and subject to date and officiant availability. Known for its exclusive resorts, remarkable weather and abundant ocean diversions, Cabo San Lucas has hit another high with The Villa Group‘s grand opening of the Desert Spa. The largest and most elaborate facility in the entire state of Baja California and the Cabo San Lucas destination, this grand desert-inspired facility celebrates its debut in conjunction with that of its host property, Villa del Arco Beach Resort & Spa. The 31,000 sq. ft. Desert Spa is the newest addition to The Villa Group’s roster of world-class amenities at its private enclave of suite-style resorts in Cabo. Coupled with the opening of the adjacent Villa del Arco, the Desert Spa also accommodates guests at Villa La Estancia and Villa del Palmar in an exclusive setting that fronts El Médano Beach. Recognizing that spas are surging as a major growth segment of the travel industry, The Villa Group’s Desert Spa is designed to appeal to the sophisticated spa consumer and neophytes as well. With breathtaking views of the mountains and within a quick stroll to the azure Sea of Cortez, the facility enhances the existing upscale amenities and services available to guests staying at The Villa Group’s trio of beachfront properties. Designed in Mexican hacienda style, the Desert Spa insets into Los Cabos’ timeless merger of desert and sea by complementing its natural setting with earthy tones, ample natural light, and the scents and flavors of Baja. Showcasing Baja’s largest wet area, the spa’s hydrotherapy centers for men and women each include a spacious Jacuzzi, cold plunge pool, cold pressure showers, body temperature pool, steam room and sauna. In addition, 17 treatment rooms, two exclusive VIP suites with private Jacuzzi and shower, a full-service beauty salon and extensive menu of exotic treatment services set the stage for the Desert Spa to serve as a haven for health, beauty, decompression and rejuvenation. Using a line of desert-inspired products created exclusively for the Desert Spa, therapists wrap, bath and pamper guests with extracts of agave, lime, cactus, melon and vanilla. By blending fruit and herb extracts native to the Baja California area, the Desert Spa’s natural body products have been selectively developed specifically for the restorative and nutritive powers they possess as well as for the enjoyment of the guests. Those on the fast track to a healthier lifestyle can get into gear at Villa del Arco’s fitness center. The 4,500 sq. ft. fitness center features seven treadmills, four elliptical bikes, three stationary bikes, 10 strength training stations, a multipurpose station, four free weight stations, a yoga/pilates studio, lockers and showers. As if the July grand opening of the Desert Spa in Cabo San Lucas isn’t exciting enough, The Villa Group has created special packages at the new Villa del Arco that treat two adults to the best of this 31,000-square-foot facility. The Desert Spa Discovery features three nights in a deluxe one-bedroom oceanview suite at Villa del Arco, two 50- minute aromatherapy massages, a men’s facial therapy for him, a lemon lime facial for her, and unlimited access to the fitness center and spa facilities for the entire stay. Discovery package rates are from $1,015 USD plus tax per couple and are offered through December 8, 2007. This European Plan package (meals not included) is subject to availability. The Desert Spa Adventure covers three nights in a deluxe one-bedroom oceanview suite at Villa del Arco, his-and-hers experience in a spa suite for two (a hydrotherapy session followed by two 50-minute massages), a men’s facial therapy for him, a lemon lime facial for her, a personal training session for two with a U.S. Certified personal trainer, unlimited access to the fitness center and spa facilities for the entire stay, and a light spa cuisine lunch for two at Villa del Arco’s oceanfront La Perla restaurant (set menu including main course, option of beverages and dessert). Adventure package rates are from $1,143 USD plus tax per couple and are offered through December 8, 2007. This European Plan package (meals not included) is subject to availability. For more information on Villa del Arco, visit www.TheVillaGroup.com. For Villa del Arco package reservations, call 877-845-5247. For non-guests, The Spa One Day Experience offers one day-pass to the fitness center and spa facilities, one 50- minute massage of choice and a light spa cuisine lunch at La Perla for $109 USD per person plus tax through December 8, 2007, subject to availability. 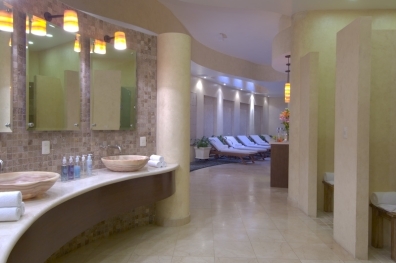 For more information on the Desert Spa, visit www.TheVillaGroup.com. For Desert Spa reservations, call 877-845-5247. The Villa Group’s three Cabo San Lucas properties collectively offer 845 one-, two- and three-bedroom suites, deluxe studios and penthouse suites. Villas and penthouse suites include complete kitchens, separate living/dining areas, private terraces or balconies, air conditioning with individual climate control, in-room safes, ceiling fans and satellite TV. Guests may choose from upscale dining at La Casona and La Perla, casual dining at El Faro, El Bucanero, La Parrilla and Bella California, and theme night buffets at Las Tortugas. An adjacent shopping plaza is home to the Palmita Market, an Internet café, plus a collection of other shops and services. For the first time in Mexico, on September 6-9, the paradise beach destination of Ixtapa-Zihuatanejo will be stage for the first International Suring Tournament. The tournament is organized by the Surfing Latin-American Association (ALAS, for its acronym in Spanish), which was founded in 2001 in Lima, Peru, for the purpose of developing and fostering the practice of this sport throughout Latin America by means of the Surfing Latin Professional Circuit. This exciting tournament offers a prize of $17,500 dollars for the winners. The participation of an important number of professional surfers is confirmed from countries such as: Brazil, Uruguay, Argentina, Chile, Peru, Ecuador, Panama, Colombia, Costa Rica, El Salvador, Guatemala, Nicaragua, Guadalupe, Venezuela, Puerto Rico, Dominican Republic and Mexico. Both national and international media will attend this important contest to keep record of everything taking place in this exciting competition, since many surfers throughout the world will be attuned to the development of Alas Tour International Surfing Tournament. The paradise destination of Ixtapa-Zihuatanejo now offers its visitors a first-class trailer park, located within the “Real Ixtapa” development in Playa Linda, Ixtapa. The development is over 41,347 square yards, of which, 11, 073 square yards are totally paved for the benefit of trailer drivers (RV’s and campers). Ixtapa-Zihuatanejo’s modern trailer park facility has 40 slips fully-equipped with electricity, water and sanitary discharge. In the near future, 34 additional slips will be available featuring the same services. The trailer park also comprises an area of 5,900 square yards for camping just in front of the sea. Playa Linda Beach, the location of Ixtapa-Zihuatanejo’s trailer park, is well known for its fine sand and tranquil sea. Near to this beach is Ixtapa Island, where small vessels transport passengers from the pier. Horseback riding through the jungle, through the palm trees or on the beach is also available. Another fascinating ecological attraction in this area is the “Crocodilarium,” where local animals such as crocodiles, turtles and iguanas can be observed swimming and resting under the sun. The area is also a paradise for tropical bird watchers. Vacationers who like the exciting way of traveling by trailers can now choose Ixtapa-Zihuatanejo for their next vacation. They will have access to the newly inaugurated trailer park with a reception area, 24-hour surveillance, fire extinguishers, cyclone fence, water supply, 127 v. / 30 amp. electrical flow per slip, drainage (standard 3-inches connection), waste baskets, sanitary services (toilets and showers) and lighting. More information is available at www.fonatur.gob.mx, or by e-mail at: trailerparkixtapa@gmail.com or at: +52 755 202 95 and 96. The XV Pan American Games Rio 2007 held their closing ceremony today, with Mexico coming in fifth place overall with a total of 73 medals. The Mexican delegation ended the games on a high note: just today, Laura Sánchez and Paola Espinosa took the gold in Synchronized Diving, and Michoacán’s Everardo Cristóbal added his gold medal with a win in the flatwater canoe C-1 500 meter competition (the day before he also won gold in the C-1 1000 meter race). The medals breakdown was very impressive: 18 gold, 24 silver and 31 bronze, giving Mexico a hefty lead over countries such as Colombia, Argentina, Venezuela and the Dominican Republic. The Closing Ceremony was held at Maracanã Stadium, a celebration for the athletes and their feats. The next edition of the Pan American Games will be held in Guadalajara, Mexico, in 2011, and several members of the organizing committee were present. Brazilian accordionists played a duet with Mexican mariachis, and the Mexican flag was hoisted in tribute to the 2011 Games, to be played in Guadalajara. Slowly, the Pan American flame was extinguished in a metal globe erected on the field. Guadalajara will be the third Mexican city to host the Pan American Games and the first outside of the Federal District, which hosted the second and seventh games in 1955 and 1975, respectively. Despite chilly weather, it was a gala ending to the hemisphere-wide event, which drew some 5,500 athletes from 42 countries, as well as 2,000 delegation members, 3,000 journalists and 15,000 volunteers. The games lasted16 days and included the participation of 5,662 athletes from 42 countries in the Americas. Fairmont Acapulco: Summer’s Not Over! It’s mid-July and some people are already stockpiling school supplies. Hello! There’s still plenty of summer left!!! Say goodbye to Target and Walmart and worry about uniforms later–there’s a beach in Acapulco with your name on it! Fairomont’s Pierre Marques and Acapulco Princess hotels have conspired to lure unsuspecting workaholics and frazzled moms (with or without “frazzlers”) with some downright nifty rates in their Only One Way promotion, which offers rooms starting at $149 per night. That’s right: you, too, can roam about the lovely shores of Revolcadero Beach–complete with a view of the Sierra Madre Mountains–and wallow in world class golf, exquisite cuisine, “sun, sand and salsa” without breaking the budget (you’ll have plenty left over for the hot lunches at school, we promise). Make your getaway good by visiting www.fairmont.com/summer, calling 1-800-830-1411, or by contacting your favorite travel agent. Available through September 3, 2007, Only One Way rates are subject to availability and priced per room, per night, exclude taxes and are based on double occupancy in a Fairmont Room.